Meet the instructional leaders who help mold the environment of Pattonville High School. From school climate to the wealth of activities; from the collaboration with teachers to the relationships with students; these are the people who carry on the Pattonville mission "That ALL Will Learn." 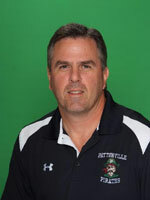 Joe Dobrinic has been principal of Pattonville High School since 2011. Prior to coming to PHS, Dr. Dobrinic was the building principal of Hazelwood West High School where he served in that position for 3 years. Dr. Dobrinic received his undergraduate degree from the University of Missouri – Columbia. He holds a master's degree and a specialist degree from Lindenwood University. He also holds a doctoral degree in educational leadership from Maryville University. Dr. Dobrinic is a graduate of Pattonville High School Class of 1988. He also attended Bridgeway Elementary and Pattonville Heights Middle School. Robert (Bob) Thompson worked as the athletic/activities director, assistant principal, and head football coach at De Soto High School from 2007-2014. From 2001-2007 Mr. Thompson served as a health/PE instructor and coached football and track at Hazelwood East High School for three years. In 2004 he was selected to be an assistant principal at Hazelwood East High School. Mr. Thompson has also worked in the Hillsboro MO, Dunklin MO and Marshall TX, school districts. Mr. Thompson received his undergraduate degree from the University of Missouri – St. Louis. He holds a master's degree from Southwest Baptist University and a specialist degree from Missouri Baptist University. Mr. Thompson oversees all PHS Seniors, as well as the Counseling department, Career & College Counseling Center, and FACS and PE/Health departments. 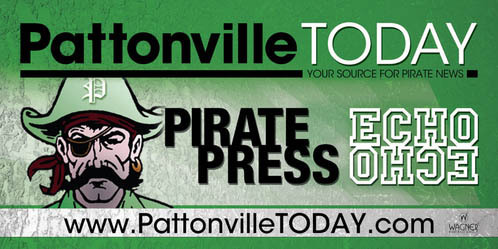 Gene Grimshaw is entering his 18th year at Pattonville High School. In 2012 Mr. Grimshaw joined the administrative team as an assistant principal. Dating back to 2001, Mr. Grimshaw was a social studies teacher in Positive School. By the fall of 2005 he transitioned to the high school and taught world history and AP European history. In addition to his work in the classroom, he also spent a period of time coaching baseball and football. 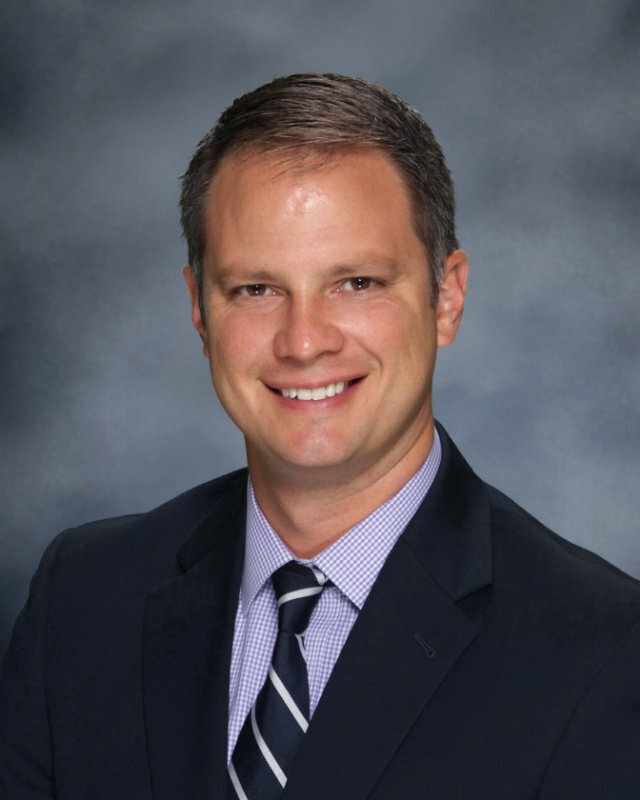 Mr. Grimshaw holds a bachelor's degree in secondary education from Westminster College, a master's degree in secondary administration from William Woods University, and an education specialist in administration degree from William Woods University. His wife, Denise, is a physical education teacher at Remington Traditional School. Administrative duties include: students with last names in the P-Z alphabet range, Junior Class liaison, Modern Language department, Social Studies department, and School RNs. Dr. Jon Fitzgerald was hired as an Assistant Principal at Pattonville High School in 2012. Mr. Fitzgerald previously worked in Pattonville as a Social Studies teacher at the High School as well as an Administrative Intern. He previously served as a Middle School Social Studies teacher in the Saint Louis Public School District. Mr. Fitzgerald holds a Bachelor's degree in Secondary Education-Social Studies from Southeast Missouri State University, a Master's degree in Educational Administration from Lindenwood University, and a Doctorate in Educational Leadership from Maryville University. Administrative duties include: Career and Technical Education department, Positive School, and Science department. Odetta Smith was welcomed to our administrative staff in 2014. She taught English at PHS for five years. Prior to coming to the high school, Mrs. Smith taught freshmen English in the School District of Clayton and sixth and seventh grade Language Arts in the Columbia Public School District. In addition she spent five years as the Head of School for The Freedom School, a local private elementary school. Mrs. Smith holds a Bachelor of Science in English Education from the University of Missouri-Columbia and a Master's in School Leadership from Harvard Graduate School of Education. Administrative duties include: students with the last names in the A-G alphabet range, Sophomore Class Liaison, Professional Development Coordinator, Mathematics department, and Band/Orchestra/Choir. Dr. Dana Burns joined the administrative team as assistant principal in 2017. She taught Biology at PHS for 10 years where she was also chaired the Science department. Dr. Burns holds a Bachelor’s degree in Business from Illinois State University, a Master's degree in Teaching, a Specialist degree in Administration from Lindenwood University, and a Doctoral degree in Educational Leadership from Lindenwood University. Administrative duties include: students with the last names in the H-O alphabet range, Freshman Class Liaison, ELL department, English Language Arts department, Gifted Education, Speech & Debate, and Theater. Bob Hebrank was selected as activities director at Pattonville High School in 2008. Before coming to Pattonville, Hebrank worked as athletic/activities director and dean of students at Maplewood Richmond Heights High School. He also served as assistant athletic director at Clayton High School and as admissions counselor and assistant athletic director at Lindenwood University and Fontbonne University. He holds a Bachelor’s and a Master’s degree in Secondary Education from the University of Missouri-St. Louis and is a certified athletic administrator. 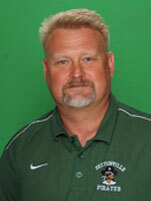 Mr. Hebrank oversees all of the activities and athletics at Pattonville High School. Jessica Winterowd was selected as the Special School District Area Coordinator for Pattonville High School in July 2013. Mrs. Winterowd served as a special education teacher at Hazelwood West High School for six years, spending the last four working in a Teen Connect classroom. Mrs. Winterowd has a bachelor's degree in theatre from Lindenwood University and a master's degree in educational administration and special education administration from Lindenwood University. Mrs. Winterowd is certified to teach K-12 special education and 9-12 speech/theatre. Mrs. Winterowd oversees programming/services for students receiving special education services from Special School District of St. Louis County.